The Royals have a number of key players hitting the open market next winter, but left-hander Danny Duffy will no longer be among them. The Royals announced on Monday that they’ve signed Duffy to a five-year deal that runs through the 2021 season and will reportedly guarantee him $65MM. The contract doesn’t afford Duffy, an ACES client, any sort of no-trade protection and doesn’t contain any options. Duffy will reportedly take home $5MM in 2017, $14MM in 2018, $15.25MM in 2019-20, and $15.5MM in 2021.
uncertainty. what happens if he needs tommy john in 5 months? An insurance payout to Danny Duffy in the event of an injury would be a fraction of what he is about to be guaranteed. Very different scenario to a team getting an insurance payout against a large contract. It’s a bargain, yes, but it’s certainty for a guy who hasn’t been a full-time starter for a whole season yet. I don’t know why you’re pointing out his history – that actually limits him. Sonny Grey disagrees with you. Not everyone is after every last dollar they can get! 65 mil should fix him and his family for life and quality of life has to be a consideration if he enjoyed living in the KC area. I say more power to him. Guess he didn’t wanna risk getting hurt or playing worse and lowering his value. Somewhat strange from both sides considering KC is losing their entire core after this year and looked to be going into rebuilding mold. I guess they can still trade Duffy in the coming years but this still seems strange for both Duffy and the team. They are not losing their entire core. sheesh…the Royals can afford more players, just have to be smart about it. I’m glad it’s not always about getting more. TV companies want more. Owners want more. Players want more. More isn’t going to last forever. Why can’t more last forever? Are you insinuating a market bubble that’s going to burst? You might not like it, but I feel you need to say something to argue this point when you say it. Not trying to be difficult just trying to understand. Probably because Duffy has only reached 180 innings once. Duffy has averaged 155 innings the past three seasons. Furthermore, Duffy’s ERA is nearer to 4ERA than it is to 3ERA. Moreover, Duffy would have to worry about getting injured. 65M will take care of Duffy and 30 generations of his family. Duffy is one of those rare guys that would give up millions for loyalty and comfort in an organization. As a Royaos fan – can tell you he is a great dude – and I’m not at all surprised that he chose this route. I think you could argue that Danny Duffy isn’t either, as a starter. he had 167k:37bb and a 3.56 era/3.99 fip (Cole Hamels checked in with a 3.98)/3.84 xfip (which just happens to be better that Jose Quintana). I’d like to hear your argument for why he’s not very good as a starter. I assume you must think that an argument can be made that Carlos Rodon isn’t very good as a starter either, right? 2) xFIP is just one stat – and it’s one that uses what supposedly “should” have happened instead of what actually did. If you want to use that to claim that Hamels was better than Quintana last year, go for it. I don’t think it’ll get you very far, but that’s your choice. 3) I already gave my argument in another thread. He has been a 3.9+ FIP pitcher as a starter. That’s a #3-type starter. I wouldn’t call that “very good.” As a reliever, he has been SIGNIFICANTLY more effective. He absolutely has potential to be a frontline starter, but he hasn’t been thus far. 4) You could definitely make an argument that Carlos Rodon isn’t a very good starter right now… But he’s 24 years old, comes with an extremely high pedigree as a prospect/college pitcher, and has shown flashes of dominance. Like Duffy, Rodon has looked like a #3-type so far in his career numbers-wise. Also like Duffy, he has a ceiling that is much higher than that. Maybe our definitions of very good are different, but I wouldn’t consider either Duffy or Rodon very good at the moment. Moose and Hosmer have been playing themselves into affordable. Moose was hurt of course. Ya why would you want them to keep Homser over Cain or Moose? Hosmer is pretty bad whereas Cain and Moose are all star level players. Exactly!! Love Hosmer but by far the most replaceable, ie. Edwin Encarnacion the best hitter in the market get less guaranteed than fowler the best CF, Cain probably provides most value like, but I see him walking far greener pastures, Hosmer would have to settler to stay later, but maybe moose wants to stick around. Well now we are just getting carried away. While Hosmer is projected to be significantly more expensive – this making Moose a better value – Moose is not a better all around player that Hosmer. Hosmer is the last kind of player they should lock up long-term. Underpowered first-basemen don’t age particularly well. My honest assessment is that KC is a team..thats their value. Like the Beatles…apart they dont have as much value individually. If they have almost everyone walk next winter…they have to build that concept back. It’d be hard to do with spare parts before the farm pays off again. Hopefully they’ll be able to keep a few players….and honestly they need to just let some walk away. I never forget that David Glass owns this team and he spent 20 years running the team like walmart….tight. The point i’m trying to make is that you take away Hosmer and Duffy everything the Royals have built falls apart. If mondesi takes a step forward then he’s the shortstop in the future, they already got soler to make up for the right-handed outfield production they lose from cain and Cuthbert over moose at 3rd and the bottom of the order ain’t that bad either. But you can find any slugger on the street who’s as good as Hosmer, he’s a dime a dozen player. Cain and Moose can’t just be replaced, those are integral parts of a contending team. Huh? Hitting wise, ok but Hoz’s glove is hard to replace. He’s not a powerhouse but the Royals have never really been a power hitting team. Moose can be replaced. Not a lot of options in the organization that would actually be better replacements but he makes a lot of stupid mistakes usually with his arm. Cain likes to take plays off. I watched him in Omaha quite a bit and watch most Royals games so I know what I’m talking about. Most of Cain’s errors are due to him being lax about the play. Thats astonishing. What’s the explanation for the wild swings in defensive metrics? Hosmer has won a Gold Glove and HAS been known for defense in the past. -20….wow. That’s the thing, there isn’t really much of a swing in Hosmer’s defensive value..he’s always been sub-standard and rated accordingly. Put it this way..the year he won the Gold Glove, was arguably his best offensive year. If he has a poor year offensively, he doesn’t’ win that GG. He wasn’t any different defensively than other years. Gold Gloves have been a running joke for ages. Hosmer is the white James Loney. Same way other stats fluctuate defense can too, # of chances, and defensive metrics are less than perfect. He’s probably not the worst defensive 1b in baseball, but he’s also getting older and slower to the ball, which isn’t helping. When he isn’t hitting, he’s really not a valuable player. Post of the day right there, talk about implicit bias. You very clearly do not. Fangraphs says that its Hosmers range..which his own manager admits is lacking. Its his scooping ability thats always drawn praise. James Loney my rear…if he cant hit he’s not worth much. .260 15 hr and lowsy defense wont get it done at 1B. Hosmer won the GG because he’s very good at scooping balls in the dirt, but that’s it. The folks that vote for the GG overvalue scoops at 1B, and UZR doesn’t take scoops into account at all. No one is going to give up much for one year of Hosmer. That is exactly what I thought KC should have done. I thought they should have tried to trade Cain(maybe the Mets), Hosmer, Davis and Escobar if they could get anything for him. I would have kept Dyson and played him in CF full time or possibly platoon with an Austin Jackson type. 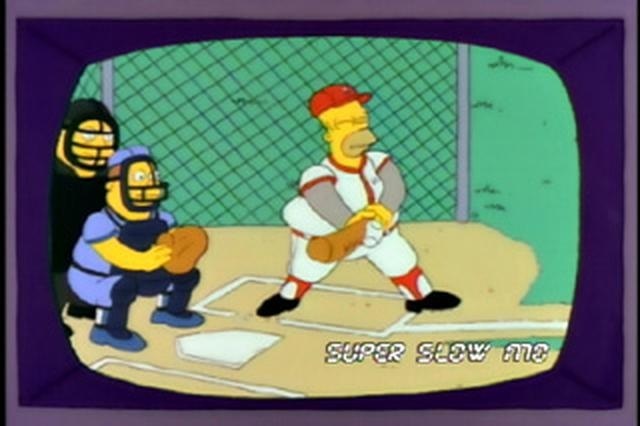 I would have looked to try and extend Duffy and Moose. It looks like they decided to try and keep the band mostly together for one last show. I just don’t see the Royals as a playoff team this year with everybody and thought it was time to start the rebuild. This is a pretty awesome deal for the Royals… this has the potential to be a VERY valuable contract to move when the time is right. We’ve seen what the White Sox have been able to get out of a valuable contract. I wouldnt count the Royals out of it in 2017 if they are healthy. Sometimes they seem to linger, though…not doing much…maybe to save the money to try some extensions. These players are well loved in that region. Solid deal. 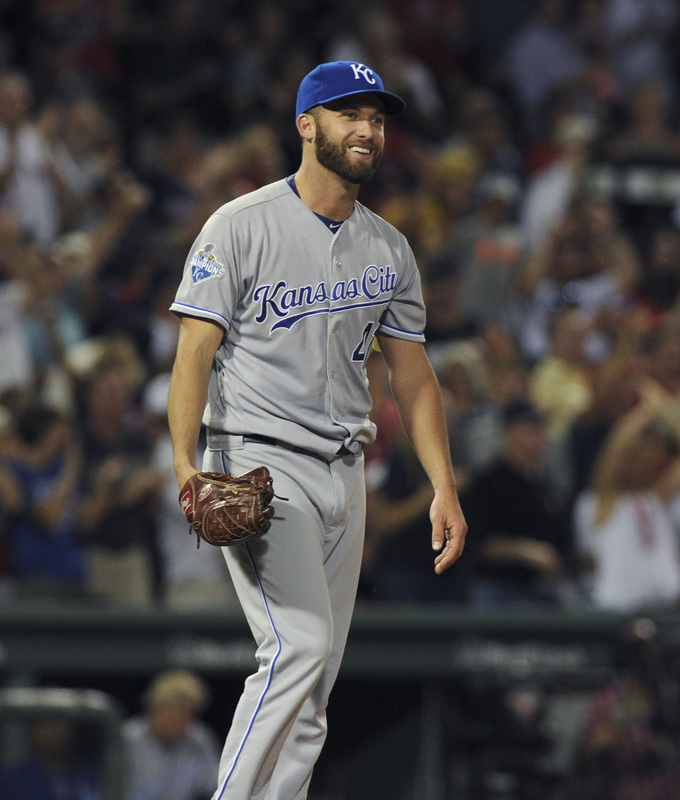 If Duffy comes out of the gate throwing like he has…he’s become a solid commodity in any trade. Yeah and when I say “when the time is right” that could really mean almost any time over the life of the contract. If they click again and make a few small moves and go for it in 2017 one last time with this core (not completely unlikely), that’s great. At any point (be it 2018, 2019), if Duffy is pitching as well as he’s capable of, they will have a nice trade piece to help boost their rebuild. They should have tried to bring in some starting pitching. If they are worried about salaries they are about to see quite a few guys off the payroll. Maybe the hope is stash the cash and resign somw of them. But honestly….Hosmer is looking a lot like James Loney…Im not sure we havent seen peak. Id just be careful not to get strapped. Smarter to deal guys and speed up a rebuild than flounder under bad contracts. Not a bad deal for both sides. DD is a number 5 pitcher on most teams and this is number 5 money. You have no idea what you’re talking about if you think Duffy is a 5. Look at his numbers last year. K% rose dramatically due to increased velocity. As long as that velo increase stays, no reason to think Duffy is anything worse than a middle of the rotation starter. Never pitched 200 innings? He’s never been a full time starting pitcher in any season in MLB. Probably not a #5. If so, he’d be a really good one. If you want to put a number on it, I guess you could call him a #3 or really good #4. Not sure why people seem to love him so much as a starter. I think its what he flashed last season…especially later on. He really could be one of those guys that quite a few people have mentally pigeonholed….of course, hes gotta keep showing it. He could be one of those guys, but like you said, he’s got to prove it. Despite what he may have flashed, he has been SIGNIFICANTLY more effective as a reliever so far in his career. As a starter, he has consistently been a 3.9+ FIP guy. He still has a lot of work to do before being considered a high end option. Last year Duffy would be a #2 or 3 on most teams but he’s definitely shown his lack of control. I also watched him a lot in the minors and his biggest issue was always control. He’d have to be yanked by the 6th due to too many pitches. Last year he showed what I was hoping for about 3 years ago. He had a 3.56 ERA with a 3.99 FIP. If he was a team’s #2 last year, they weren’t making it very far. Either Trevor Bauer (4.26), Josh Tomlin (4.40) or Danny Salazar (3.87) would have been considered the number 2 starter for Cleveland last year and they went to the World Series and were one game away from winning it. This is #5 money? If a team is giving this kind of money for their #5 starter they are doing something really wrong. I don’t think we’re too far away from this actually being #5 money (on a really good staff). The price of pitching is crazy – no doubt. I just think that teams try to fill that back of the rotation spot with cheaper 1 year FA contracts, or ideally in house younger guys. There goes the cheaper option for next year’s FA class. That’s what I was thinking.. You have Arrietta Darvish and then just a bunch of “guys”. A few good ones (Cueto/Tanaka) could opt out, but the top tier ( Matt Moore, MadBum, Sale) have options that definitely will be picked up by their respective team. This is absolutely non stat related and just something that hit my ear wrong, but he stated to Dayton Moore that he wanted to be in the pen and preferred the pen. Again, this could be nothing, but there are still intangibles that come into play with players. It’s not all stats. That doesn’t strike me as a guy with a dominating mindset who wants to make it work as a starter. That being said, risky for both. Duffy could lose out on a lot, or the royals could have another overpriced bullpen piece that they’re stuck with (Soria). Id trade him now quite honestly. Teams had interest before…this kind of contract control only potentially increases his return. If the Royals fall back this season….they gotta flip guys. Would never happen that they’d sign him then immediately flip. Two, three years they could potentially look into it, but still doubt it would happen under Dayton. No trade protection though, which would give them the option though. Still don’t think it would happen until year 4-5 though. Why wait that long? To me some of the value in this deal is the tradability factor for a team that could be selling at the deadline. You’re saying that this deal is basically to make him an anchor of the Royals roster. I think that’s likely as well. It seems to be a hedge against losing some key players. Lots of inner workings we arent privy to. No doubt Duffy could have gotten more in free agency, but he must like it with the Royals and this gives him some security. I’m not sure this makes them any closer to the Indians on paper, but it’s a step in the right direction. The moves they make on Moose, Cain, and Hosmer will still be the key to keeping them competitive. Surprised nobody has been talking about the effect the new draft pick compensation system will have on free agents and how it will incentivize extensions like this. Can remember all the different grades of compensation depending upon the signing team but it is very high for most, if not all, teams. A guy like Duffy, barring a Cy Young-caliber season, would have likely had to settle for a deal below the compensation cap, $45m or $50m, whatever it is. That seems unlikely. This extension that has been generally lauded as great for the royals is roughly a 4 year $57 MM extension beyond his final arbitration year, a repeat of last year or anything similar would have almost definitely put him over $50 MM, and the contract amount doesn’t affect the compensation the team gives up, so there would be little reason for a team to artificially suppress that salary below the threshold. Mike Minor hasn’t pitched in two years. I wonder why he’s still being mentioned as a possible rotation piece. He’s probably cooked. Fair deal for the team and Duffy. Saves a few mil this year in the payroll which I’m sure Dayton was keen on. Duffy would’ve gotten 7-8 mil in arbitration but this deal is back loaded so he gets around 5 mil this year. Everyone in kc knew this was coming. Actually surprised it took so long. I wouldn’t expect any of the core to re-sign this season though. Maybe we could afford Moose but depends what he does this season. Cain is getting old and is hurt too often, Hosmer isn’t worth 150+ mil and Escobar can’t hit. What’s amazing if KC doesn’t extend some of there players even if a bit higher than what they deserve, big market team will eat them alive and steal all their players as FA’s who they can afford. Then they will for sure be back to their loser status as they were for 25 plus years. Hopefully over time they can develop again players like Moose, Hosmer and Duffy in the minors to replenish the big league team as they did with the above mentioned guys.